The Second Meeting of Governors of the Northern Forum International Organization titled ‘Sustainable Development of the Regions of the North’ will be held during the ‘Arctic: Territory of Dialogue’ 5thInternational Arctic Forum. The Northern Forum, as a tool for developing a non-political dialogue between the governors of the Arctic and northern regions of different countries and the heads of municipalities and organizations, is intended to serve as an example of effective international cooperation for the sustainable development of the Arctic free from external pressures. The meeting of the governors of the Northern Forum, held for the second time at International Arctic Forum 2019, facilitates the discussion of issues related to improving the quality of life of the peoples of the North, the sharing of knowledge and experience to solve common problems, and the promotion of joint socio-economic initiatives”, Adviser to the President of the Russian Federation Anton Kobyakov said. The meeting will be attended by heads and representatives of the Northern Forum member regions, regional coordinators, business partners, and experts. The invitees include representatives of Arctic and non-Arctic states as well as Russian and international organizations that are not members of the Northern Forum. The following speakers plan to give addresses at the meeting: Chairman of the Northern Forum and Governor of the Nenets Autonomous District Alexander Tsybulsky; Deputy Chairman of the Northern Forum andGovernor of the Khanty-Mansi Autonomous Area – Yugra Natalya Komarova; Deputy Chairman of the Northern Forum and Head of the Republic of Sakha (Yakutia) Aysen Nikolaev; Governor and Chairman of the Government of the Chukotka Autonomous Area Roman Kopin; Ambassador-at-Large of the Russian Ministry of Foreign Affairs Nikolay Korchunov; Doctor of Geographic Sciences, Professor, Director of the SOPS Centre for the Economy of the North and Arctic, Chairman of the Russian Section of the European Regional Science Association, Chairman of the Socio-Economic Section of the Expert Council on the Arctic and Antarctic under the Chairman of the Federation Council, and Director General of the Regional Consulting Institute Alexandra Pilyasova; Head of the Institute for Circumpolar Reindeer Husbandry (University of the Arctic) Svein Mathiesen; Managing Director of the Centre for High North Logistics (Nord University)Kjell Stokvik; Chairman of the State Duma Committee on Regional Policy and the Issues of the North and Far East Nikolay Kharitonov; Council President of the Association of World Reindeer Herders Sergey Kharuchi; Professor of Arctic Politics at the Faculty of Social Sciences at the University of Lapland Lassi Heininen; and Director of the Arctic Portal Halldor Johannsson. Västerbotten County; Ragnhild Vassvik, Mayor of Finnmark County of the Kingdom of Norway; Pentti Malinen, Region Mayor at Finland’s Regional Council of Kainuu; Ásthildur Sturludóttir, Deputy Chairman of the Northern Forum and Mayor of Akureyri (Iceland); as well as the Russian regional leaders: Governor of the Yamalo-Nenets Autonomous District Dmitry Artukhov; Governor of Kamchatka Territory Vladimir Ilyukhin; Governor and Chairman of the Government of the Magadan Region Sergey Nosov; Governor and Chairman of the Government of the Khabarovsky Territory Sergey Furgal; and Acting Governor of the Murmansk Region Andrey Chibis. The participants in the Second Meeting of Governors of the Northern Forum will addresses issues concerning sustainable development in the North and the Arctic as well as the draft Northern Forum Strategy, which has been gradually developed taking into account proposals from member regions and experts since 2017. The leitmotif of the project is the development of effective mechanisms for interregional cooperation taking into account the main trends of international policy in the Arctic as well as agreements and projects from major international forums and councils, in particular such as the Arctic Council and the Barents Euro-Arctic Council (BEAC). 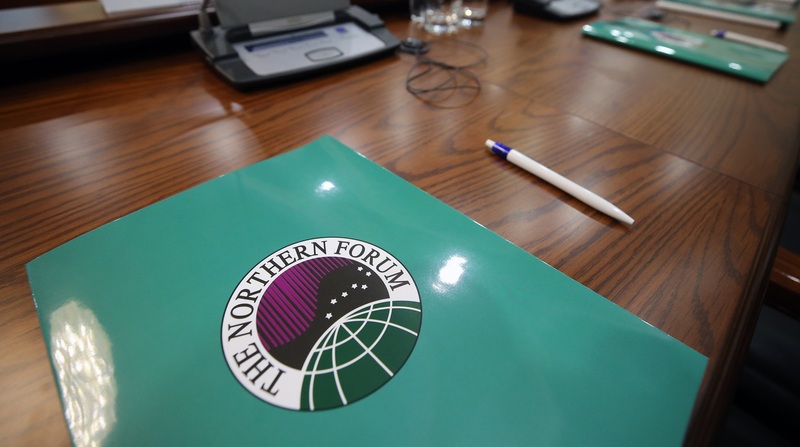 The Northern Forum International Organization was established in the early 1990s as a platform to strengthen the non-political dialogue among leaders of both sub-Arctic countries and non-regional states. Today, the Northern Forum brings together ten northern regions of the Russian Federation, Akureyri (Iceland), Alaska (the U. S. A), the province of Kangwon (South Korea), and Lapland (Republic of Finland) and 12 business partners from Iceland, Norway, Russia, the U. S. A, Finland, France, and Japan. The First Meeting of Governors took place in 2017 on the sidelines of the ‘Arctic: Territory of Dialogue’ International Arctic Forum in Arkhangelsk. The discussions at that meeting focused on issues concerning the integration of the regions of the Arctic and the North and the exchange of experience and best practices. Problems concerning transport communications and the environment were raised during that discussion, and solutions were proposed for major economic problems regarding the development of productive forces in the Arctic. The conversation centred around improving people’s quality of life, developing forms of state support for indigenous peoples of the North, new approaches to infrastructural development in the regions, and best practices in different countries and Russia’s regions. pool their efforts to ensure the efficient development of the Arctic and higher living standards for populations living in Arctic territories. The ‘Arctic: Territory of Dialogue’ Forum was first held in 2010 and was devoted to contemporary problems of the Arctic region. The second forum was held in 2011 and focused on issues of developing transport systems in the Arctic. In 2013the key themes considered included environmental protection, while in 2017 the Forum’s theme was ‘People and the Arctic’. The key theme of the forthcoming 5th International Arctic Forum will be ‘The Arctic: An Ocean of Opportunity’. Three pillars will form the basis of the business programme: ‘Coastal Regions’, ‘The Open Ocean’, and ‘Sustainable Development’.